If you want to feel the spectacular spirit of living experience come and stay at Hotels in Guruvayoor. Here,Bhasuri Inn is providing the large range of different category rooms , consequently it leads to get opportunity to afford rooms for any persons from any class of family, which they belongs to. It is one of the main conspicuous speciality in the Bhasuri inn booking Hotels in Guruvayoor. Coming to our unique facilities to our customers, the hotels in Bhasuri Inn providing homely foods at any time, their cuisines works for 24hrs. It reveals that the certain kind of customers, one who reach late nights, will get foods at any time with large variety of dishes. And Bhasuri Inn, hotel in guruvayur are serving not only traditional foods , but also they have a wide range of various kind of chinese and north indian foods. Bhasuri Inn hotels always trying to keep the uniqueness among other Hotels in Guruvayur, because of that our clients will not mention that just a hotel, they will always remind to say Bhasuri Inn booking hotels at any time when they expressing our hotels uniqueness. Bhasuri Inn hotels are also persuade youths, mostly, our hotels are providing three astonishing facilities for youths, because we know that the upcoming generation is our strength to endure our credibility to next to next generations. Firstly, they providing Free WiFi. We know that it is an enchanting stuff for youths. Secondly, Bhasuri Inn have bean mug cafe. Finally, the hotels are providing Golden Leaf Restaurant. The things mentioned above are not only for youths any age belonging persons can enjoy this kind of facilities. Mostly Hotels in Guruvayur has got common type of rooms. If you want to feel the unique kind of room experience search hotels in Bhasuri Inn. Rooms in Guruvayoor are mainly traditional type, when we have checked the reviews of 95% of customers, they are not satisfied with that kind of rooms. However, also maintained traditional atmosphere around the hotels in Bhasuri Inn. The main reason why the people finding Room in Guruvayoor is, it houses the Guruvayur Sree Krishna Temple, the fourth largest temple in India in terms of the number of devotees visiting per day. By the way. 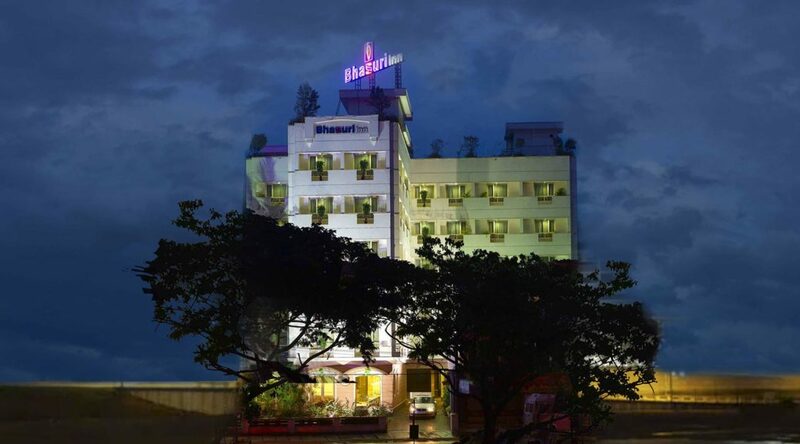 the Bhasuri Inn hotels are situated adjacent to the great Guruvayoor temple.